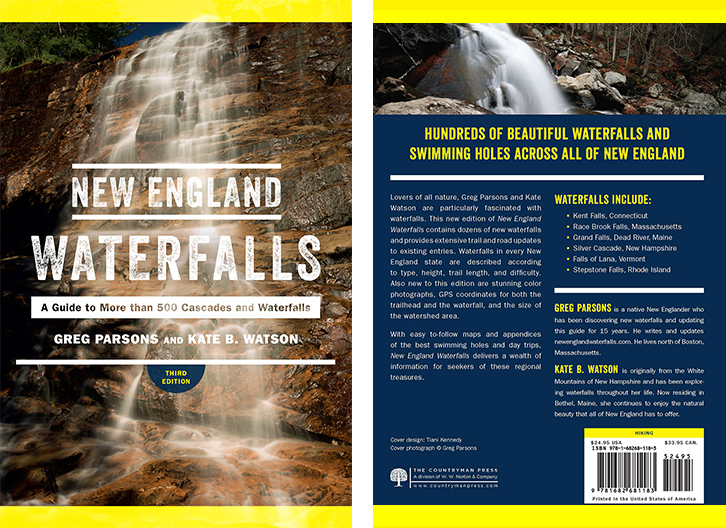 Two brooks converge into a popular swimming hole at Trout River Falls, or Three Holes, as the locals tend to call it. 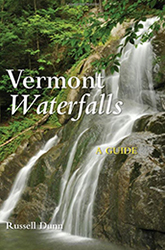 Both falls are 10-feet in height and the fall into the same alluring lime-green colored pool. The swirling currents of this pool are famous for containing trout. On one visit, I saw a family of three catch over a half-dozen trout. 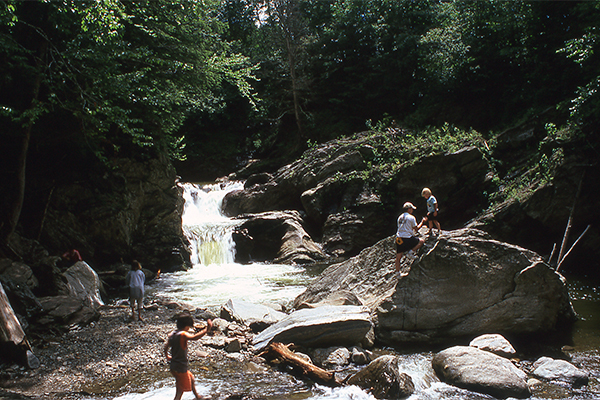 The left waterfall consists of many low-angle cascades which twist and turn in and around boulders. The waterfall on the right side is a set of punchbowls. While both falls are attractive, the real attraction here is the swimming hole. Visit during the summer for a pleasantly refreshing swim. 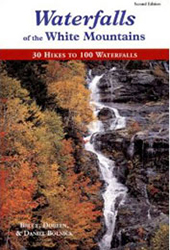 Access to this waterfall is now more difficult than what was described in the first edition of this guide. The trail to the falls now begins off VT 58. From the parking pull-off on VT 58, follow the steep trail that leads down to the edge of the river. 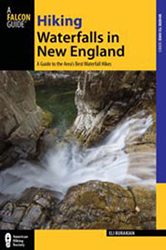 From here, you will have to travel upstream in and along the edge of the river for 0.2 mile to the falls. How you get there is up to you, but there is really no simple or easy way to do it. I suggest bringing water shoes to greatly assist you and provide a higher degree of safety. Depending on the season and recent rainfall, you may found yourself in knee-deep (or higher) water. 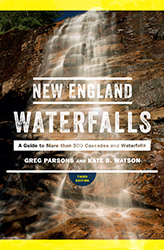 In high water, these falls are simply too dangerous to visit. 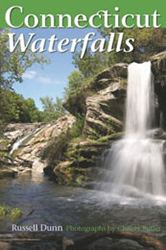 To increase your chance of being able to safely reach the falls and swimming hole, save this place for a hot summer afternoon that is following several precipitation-free days. From the junction of VT 58, VT 118, and VT 242 in Montgomery Center, take VT 58 east (Hazens Notch Rd) for 0.1 mile and there will be a small gravel pull-off on the left side of the road, with room for only a vehicle or two. To get to Montgomery Center, take VT 105 west from Newport to VT 100 south to VT 58 west. As a note of caution, be aware that VT 58 is a seasonal road that is typically closed from late fall to early spring.